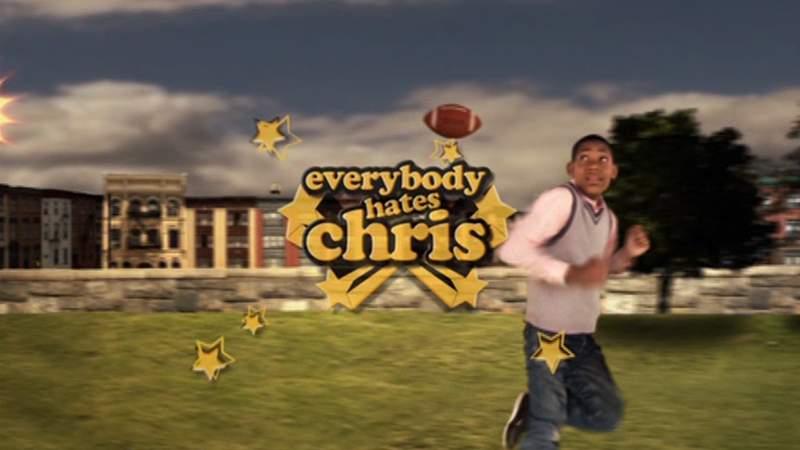 The TV sitcom Everybody Hates Chris takes its inspiration from the life experiences of comedian Chris Rock. Rock even serves as the show's narrator. I previously blogged about the first Christmas episode of this series. Click here to see that again. 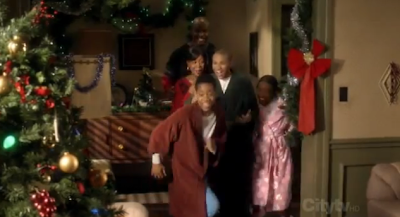 Another holiday episode is the third season's "Everybody Hates Kwanzaa" from 2007. Since Everybody Hates Chris is currently airing in syndication on several national networks, I see that this episode airs year round and often. The family in their African garb. This story takes place during December, 1985. Upset with the consumption and materialism of the Christmas holiday, Chris’ dad Julius decides the family will celebrate Kwanzaa this year. The family studies the principles of the celebration, gathers the food, the candles, and the African clothes but they each feel left out on Christmas day. Meanwhile, Chris busies himself with his teacher’s assignment of committing an act of charity over the school break. Chris offers to help his mentally unstable, homeless friend Kill Moves buy a gift for his mother. Chris even accompanies Kill Moves to the wealthy Upper East Side to visit the woman on Christmas day. Do you recognize Kill Moves mother? It's Phylicia Rashad (she was also Clair Huxtable on The Cosby Show). Turns out, Kill Moves' mother Kathleen Deveroux not only cares for her son but financially supports him. This experience teaches Chris something about charity that he never expected. 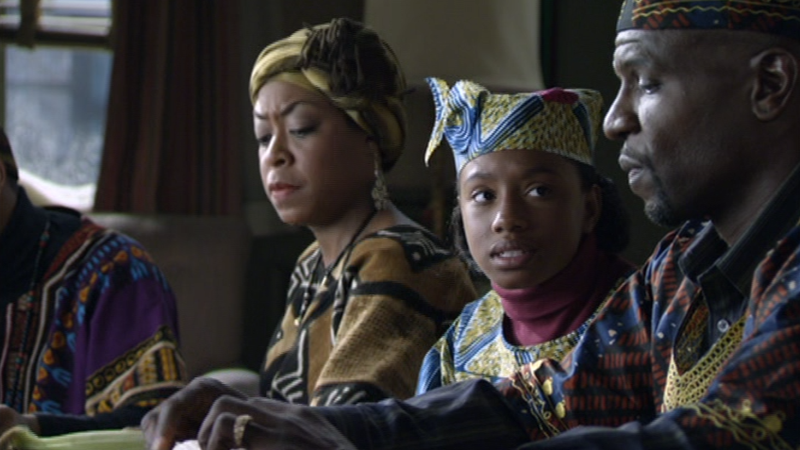 Chris’ mom Rochelle finds out that the family is only celebrating Kwanzaa because her husband didn’t receive his Christmas bonus this year. On the day after Christmas, after the stores open with their 75% off sales, Chris’ family finally has their Christmas. 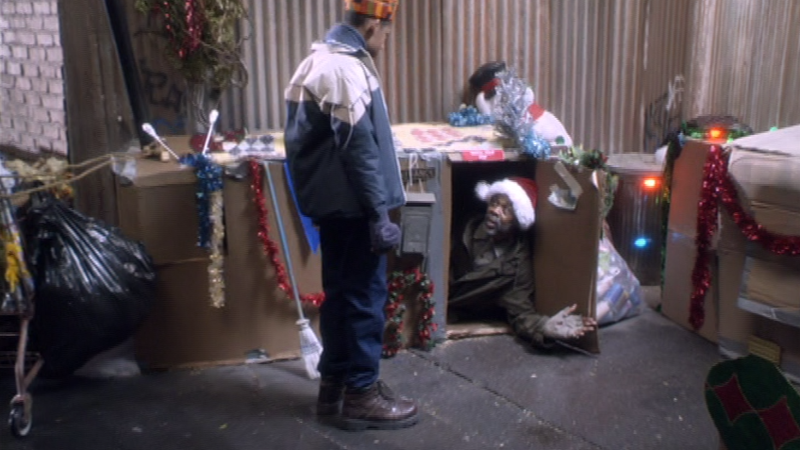 If you know anything about Kwanzaa, you'll appreciate the joke that Julius will inevitably run into trouble trying to replace Christmas with Kwanzaa. Kwanzaa is a week-long celebration starting December 26th each year while Christmas takes place on December 25th. Those who honor the tradition of Kwanzaa know that it is an additional celebration--not usually one to replace Christmas or any other holiday. 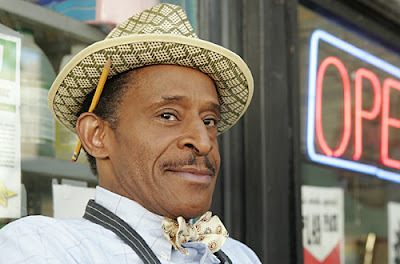 One of the things I like about this series is that the background characters are often played by familiar actors known for their outstanding black characters on previous hit shows. 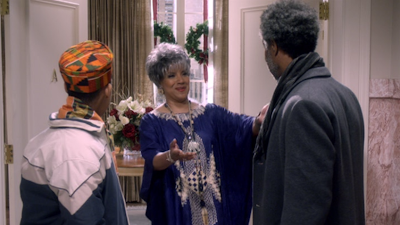 This episode includes special guest Phylicia Rashad, as I mentioned before. It also includes: Jackée Harry (who played Sandra on 227) as the hairdresser Vanessa; Antonio Fargas (Huggy Bear from Starsky & Hutch) as store owner Doc; Ernest Thomas (who played Raj on What's Happening!!) as funeral director Mr. Omar; and, J.B. Smoove (Leon Black from Curb Your Enthusiasm) plays Julius' friend Manny. You can easily find this episode available for viewing as it currently airs on BET and other networks. It is also on the second disc of the third season DVD release.